High cheekbones have always been a marker of classic beauty. They are perceived as more attractive and beautiful. But in reality, most of us aren’t born with high cheekbones. In addition, as we age, skeletal changes, fat loss and collagen depletion will flatten the cheeks and diminish what little shape we did have. This is most apparent in patients that are thin or have a normal age-appropriate weight. The cheek prominences become less and more saggy. In addition, this can accentuate sagging in many other areas of the face like the hollows under the eyes, the jowls and a downward turn of the lips. Makeup is an illusion, and a time-consuming one at that. Blush or rouge may help cheeks look a bit different, but they can’t effect actual change. While the most effective long-term solution to cheek volume loss is surgical (midface lift, cheek implants), the effect of aging can easily be corrected by dermal fillers such as Restylane and Perlane. These fillers can be used to give the cheeks a smooth curve or a more defined ‘apple’ effect. The results are immediate without any downtime. 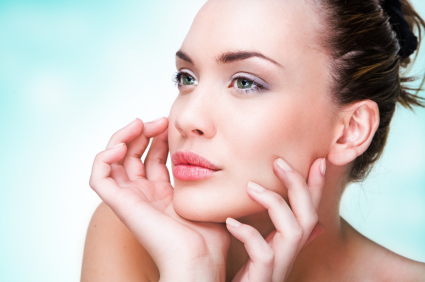 The goal of cheek restoration is to enhance the structure of the face and restore a youthful, natural appearing face. Using dermal fillers to contour facial features, such as cheeks, requires a level of skill that few physicians possess. Contact Dr Youth MD today to find out more how this can help you.